I prefer setting goals to making resolutions. Somehow they feel more positive and attainable, less like resolving not to do something and more like committing to a new behavior or action. One of the most powerful ways to get something done is to establish the goal first. The simple act of committing a goal to written form and then sharing it with one or more other individuals can dramatically increase the likelihood of success. 1) To write and deliver the two next installments in The Very Fairy Princess book series with my lovely Mom. 2) To complete the first leg of a new book project designed to get kids writing with my good friend and other writing partner, Mariah Bruehl. 3) To continue to provide valuable resources, support and learning for fellow children’s book authors through this blog, my editorial services, my role at the Southampton Children’s Literature Conference, and through my new Children’s Book Hub membership site – officially launching next week. 4) To develop the next installment of my Just Write for Kids program – a middle grade writing course. 5) To maintain a trajectory of growth as a writer through the continued pursuit of my MFA in Writing and Literature, as well as through reading, learning from, and dialoguing with, other writers. What are your writing goals for 2011? Let’s hold each other accountable. And a very Happy New Year to all! I too have always preferred goal setting over resolution writing and am using today to reflect on 2010’s goals accomplished or otherwise. This tends to be a very private thing for me and it takes courage to set them in print for others to see, however, as you said, sharing the goal immediately increases the likelihood we will attain it. So here goes for my writing goals in 2011. The list is short as this is a whole new direction for me. 1. Now I have a little more time and the appropriate resources, I plan to fully complete Emma’s Just Write For Kids programme and produce at least one picture book manuscript in 2011. 3. Start writing poetry, for pleasure to begin with. I have written a few songs in the past so, though daunting, this should not be impossible. 4. Begin journalling again. I haven’t seriously done this for a number of years, but I believe it will help with various new creative goals that I have. 5. If I am serious about pursuing writing, then I need to become much more informed and frequent writers and their circles more. I suspect this will be mainly through internet resources such as the childrensbookhub and other blogs/forums etc. Good morning, Emma! First of all, do you have any idea how happy your goals 1, 3 and 4 make me? And I am delighted with your goal 5, as well. Good for you — please keep us posted on your progress with the MFA. I, too, have been leaning toward goal-setting rather than resolution-making for this New Year, so your post particularly resonated with me. And so, as I work out those goals, I appreciate the accountability inherent in the sharing of those goals which you’ve invited. 1. To continue to expand my work within the picture-book genre, beginning with having my Jamie manuscript evaluated, then starting on the road toward finding an agent and getting published. 2. To work on my two current middle-grade novel projects with the help of your course when it comes to fruition. 3. To complete my current adult novel, and begin the process of guiding my adult writing through agent-finding and publication-seeking. 4. To participate actively in writer’s forums and associations, such as your Writer’s Hub, CANSCAIP, and SCBWI, and to avail myself of courses, mentoring, and dialog opportunities that come my way. 5. Through all this, to explore my inner artist and writer through means of journaling, using tools such as The Artist’s Way, and other resources. May 2011 be a year of creativity, learning, growth, challenge, support, project-birthing (acknowledging that there could be pain and struggle in that process) and through it all, a deep abiding sense of joy in life and in creating for us all! 2. To organize and begin to write a family history. I am very interested in genealogy and have piles of paper/data, but I want to write something for my family members that they can easily reference. I also want to do this to help preserve my own memories on paper. 3. To re-visit earlier writings (such as that really huge Master’s Degree project) and explore the possibility of engaging in another similiar writing project — just for fun this time! My goals are finally on track this year after several years of uncertainty. Two years ago I had a heart transplant. A good report last month leads me to believe that now I can determine what to do with my life, instead of worrying if I will have a life. Friends want me to write about the experience, however, I want to move on and not dwell on it. Could there be a happy medium? 1. This goal is to find my writers voice and what I really need to communicate. I will keep a record of thoughts so I don’t lose any ideas that just pop into my head. 2. Goal 2 will be to focus my research skills on a few subjects that I might want to write about. I love to go to the internet and just google anything. I feel like a kid in a candy store. So many goodies, how do I not try a little of everything? 3. Goal 3 will be to set aside a special minimum amount of time for writing each day. If I have to I will write a paragraph about what my coffee cup looks like today. 4. Goal 4 is my most important. I will keep a childlike wonder of the world and all its glory. I will help others, keep a sense of humor about myself, and to stop to watch the butterflies whether I have a deadline or not. 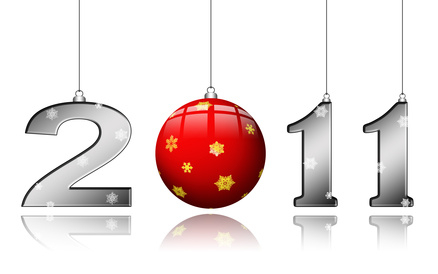 Best Wishes for 2011 to all! Diane, it is great to read of your thumbs up on health, no doubt you have a whole new appreciation of each new day of life we receive. I would think maybe only write about those experiences if you feel that it’s a message you cannot keep silent 😉 It could also be just a question of timing? All the best for a vibrant 2011. Goals eh? Hmm….#1 Try not to be overwhelmed nor discouraged by the talent, intellect and opportunities established and running rampant out there. #2 Remain true to myself, conscious and appreciative of what talents I may possess, and sensitive to my many deficits. If I’ve learned anything in my life, it is that NOBODY is perfect. #3 To continue my scribbles on junk mail, scraps of paper, and at least weekly, on my computer. #4 To be mindful of my need to remain healthy and all that is required to do so….drink more water, sleep a full night. Without the rested mind or the hydration, just about anything I say or write is nonsensical. #5 Read the books that line the Children’s section in the library. Focus on those that resonate with me…saturate and enjoy once a week. #6 Read out loud #’s 1 and 2 before I link up in “the hub” or any other venue that will allow me to learn from others…and finally #7 Write because it feels good to focus intently, feeling through written words the diverse, crazy, playful thoughts inhabiting my very “gray matter”. What a wonderful thought! To write about that which you cannot keep silent. That is exactly what I want to do. I am not sure my medical issues are something I want to shout from the housetops about yet, but I know that I want to put my voice into something worthwhile. Something that will influence people to understand and help others. Thank you so much, Joanna. I’ll be “chewing” on that for a while. I’ll let you know what I come up with. Gary! Anyone who can write such insightful and delightfully funny goals does not have to be overwhelmed or discouraged by anyone or anything — and we’d welcome your presence with us in the hub! Yay… Diane (good name that) When I read your post here I was thinking along the same lines as Joanna, so when I read her post I was like nodding in agreement. Good luck and yes do keep us posted. 3. Complete my rework and re-edit my teen novel and have it (with help of an agent)put forward for publishing. 4. Complete at least one book of a picture book series, and one for short stories, for publishing. 5. Keep up with the forums both on Hub, Just Write for Kids, and a couple of others I have had past association with, along with joining in my Business’s yearly focus on Children’s Literacy, and writing for children,(workshops, seminars, meet the authors etc), here in New Zealand. Just looking at this list, its going to be a busy year for me, I can see. But like you say Emma, its only when it is written down and shared does it start to be come a possiblity. I am hoping that 2011 is my year.